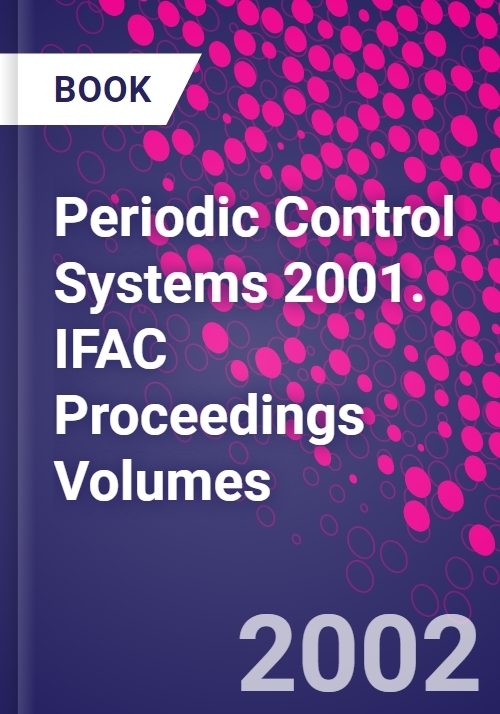 Periodic control has reached a notable degree of maturity thanks to developments over the last few decades. We have seen not only major theoretical achievements but also new significant applications. The IFAC workshop on Periodic Control Systems (PSYCO 2001), held at the Villa Erba Congress Centre in Cernobbio-Como (Italy), August 27-28 2001, aimed at presenting the full picture of the area by gathering experts in the field and all interested researchers, coming from universities, research institutions and industries. A dozen of the papers were devoted to a number of applications, including aerospace, jet and diesel engines, gas turbines, nuclear reactors, power systems, satellites, environmental sciences and finance. Periodic systems analysis. Application I. Time-series. Application II. Hybrid and sampled-data. Aerospace applications. Periodic systems control. Numerical methods. Multirate and batch processes. Repetitive and nonlinear control.